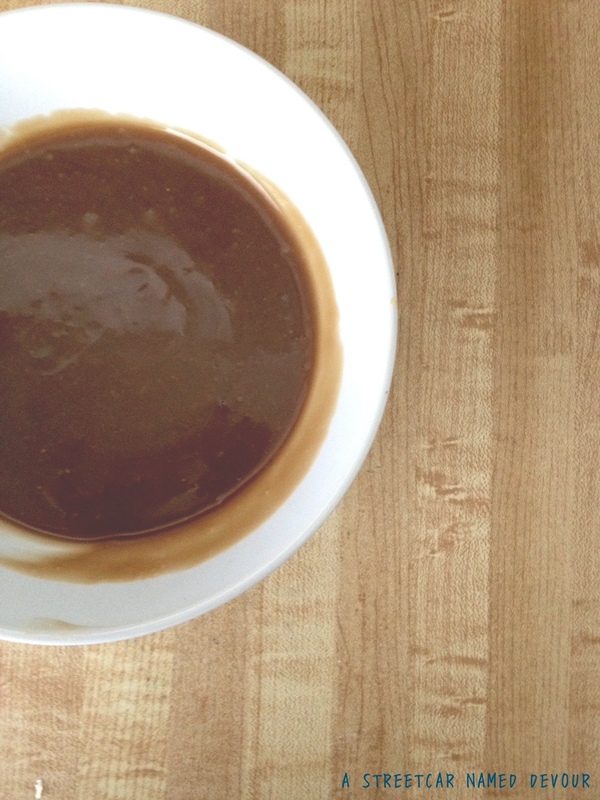 This vegan caramel sauce–I dare say–tastes even better than its dairy counterpart. 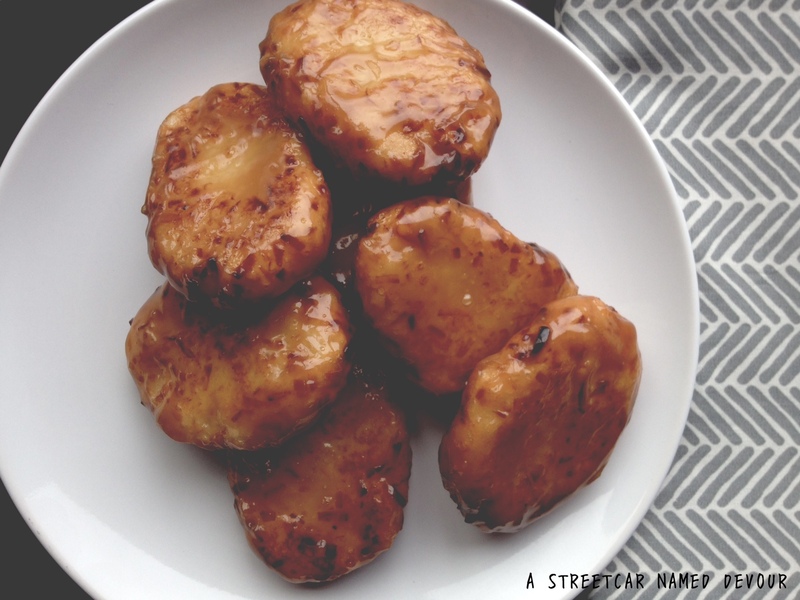 Perfect for topping an ice cream sundae or to add some flavor to your cuppa Joe, this caramel sauce goes with just about any sweet recipe, just like these Indonesian Sweet Rice Fritters pictured above. Did I mention that it’s vegan? Recipe adapted from Eff Yeah It’s Vegan! Place the thickened part of the coconut cream into a sauce pan on medium-low heat, whisking in the dark brown sugar. Continue to cook the mixture for 20-25 minutes, stirring constantly, and lifting the pan off the heat if it begins to bubble to the point that it might overflow. Reduce the heat if it starts to bubble rapidly. The appropriate cooking temperature should be at a full, rolling boil but not boiling over. Remove from heat and whisk in the vanilla and salt. Pour it into a glass bowl or pan to cool. 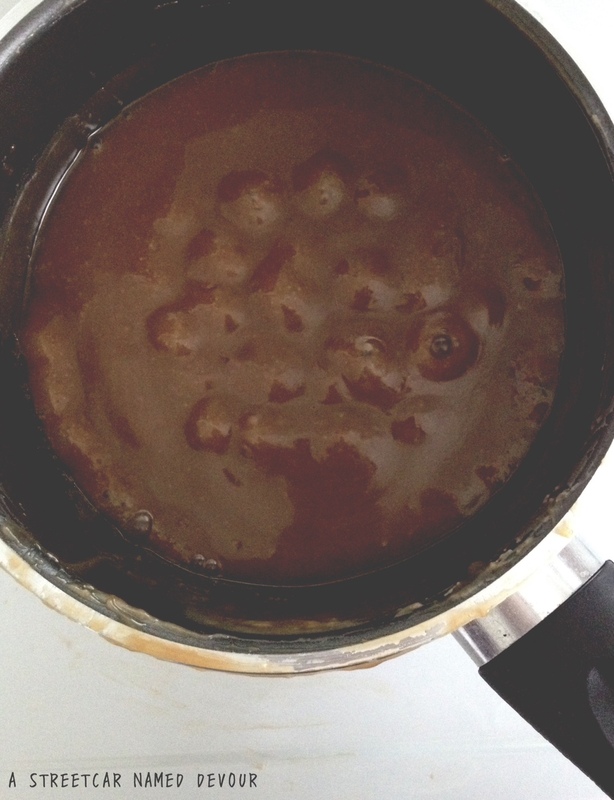 This creates a very thick but pourable caramel sauce.